Some of the key races in Florida, including Governor and U.S. Senator are now within the .5% margin needed to trigger a recount. Some of the key races in Florida, including Governor and U.S. Senator, are now within the .5% margin needed to trigger a recount. As of 2:15 p.m. Thursday, provisional ballots counted and other factors now have Ron DeSantis leading Andrew Gillum by less than 39,000 votes, or 0.47%. 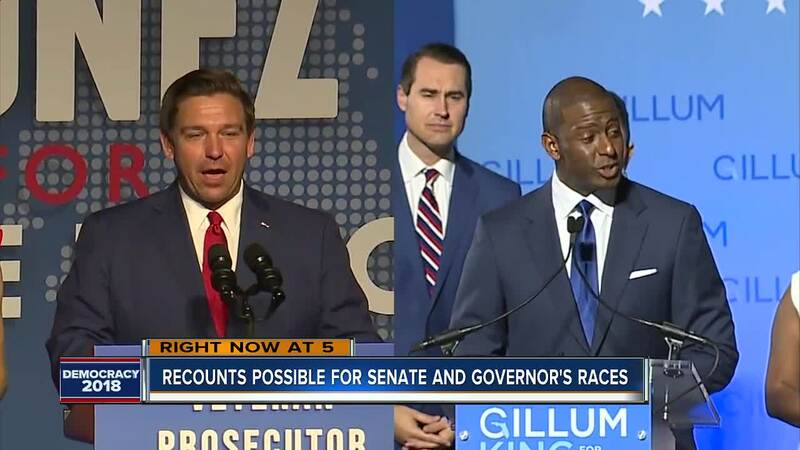 "On Tuesday night, the Gillum for Governor campaign operated with the best information available about the number of outstanding ballots left to count. Since that time, it has become clear there are many more uncounted ballots than was originally reported. Our campaign, along with our attorney Barry Richard, is monitoring the situation closely and is ready for any outcome, including a state-mandated recount. Mayor Gillum started his campaign for the people, and we are committed to ensuring every single vote in Florida is counted." Meanwhile in the Senate race, Rick Scott leads Bill Nelson by about 17,000 votes, or 0.22%. Other close races include state senator of district 18 where Janet Cruz leads Dana Young by just under 300 votes, or 0.14%. And in the Commissioner of Agriculture race, Nicole "Nikki" Fried has taken the lead over Matt Caldwell by 575 votes, with each candidate at 50% of the vote. ABC Action News Reporter Kylie McGivern caught up with Hillsborough County Supervisor of Elections Craig Latimer on Wednesday, who said his staff is in the process of going through hundreds of provisional ballots, vote by mail ballots that came in until the polls closed Tuesday night, and looking for any ballots that might not have been scanned at the polling site. That coin flip? Four years ago Latimer said, for a community development district. The point being, he says, every vote really does count. That being said, Latimer doesn’t think the numbers from Hillsborough County will change much. Whether it’s a senate race or on a smaller scale, the supervisor of elections says you have to remember – this is Florida. "We always have thin margins,” Latimer said. Because of that, political analyst for ABC Action News Dr. Susan MacManus weighed in on the value of a recount. "It is a great thing because you are absolutely insured of the integrity of the vote. The right person wins the election that got the most votes. Who could be against that?” she said. That integrity was called into question in the 2000 presidential election with George Bush vs. Al Gore. “These very, very strict rules about what triggers a recount go back to Florida his problems and the 2000 election, where we did not have a very clear procedure for what would automatically generate a recount,” MacManus said. 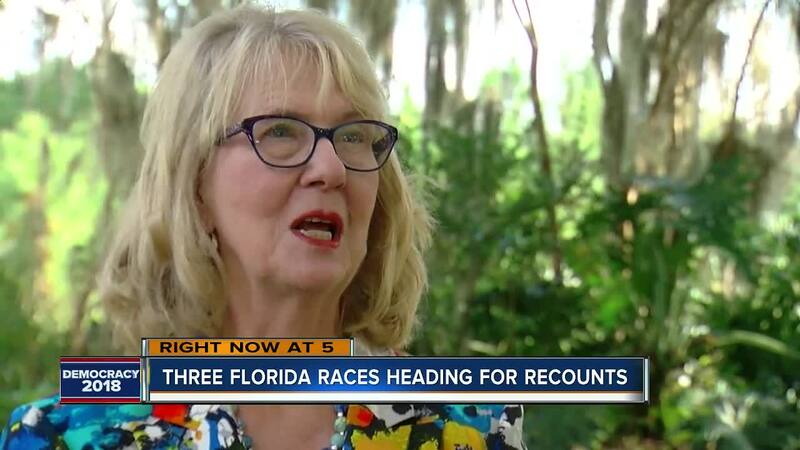 The bottom line, with multiple races looking close enough to trigger a recount under Florida state law, MacManus said it ensures a “very, very interested electorate” in the 2020 presidential race. “This is a state that you can truthfully say, your vote will make a difference,” MacManus said.